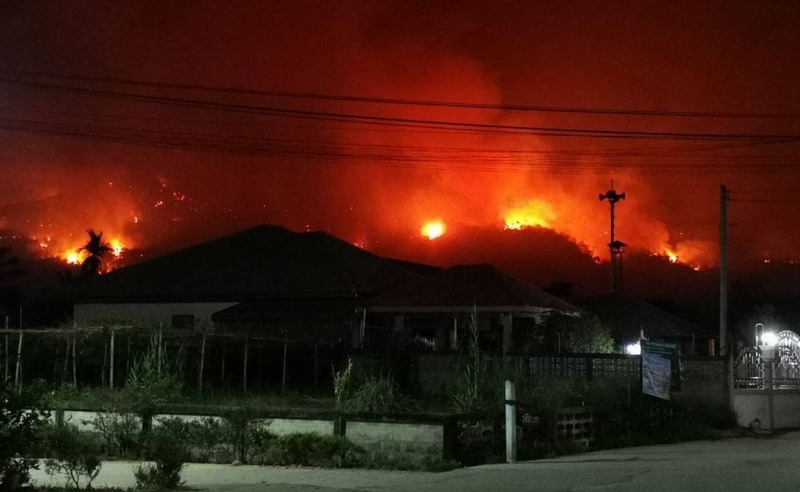 Air pollution levels remain high in many of the northern population areas with little respite on the horizon for the smog-stricken northern provinces. 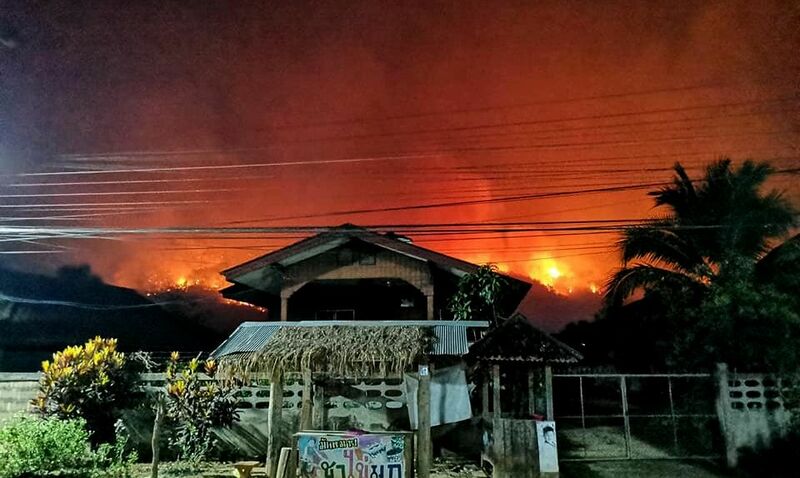 Chiang Mai Natural Resource and Environment Office director Saratcha Suriyakul Na Ayudhaya says that public, private and other sectors are contributing to the lowering the levels of air pollution by spraying water and cleaning road surfaces. 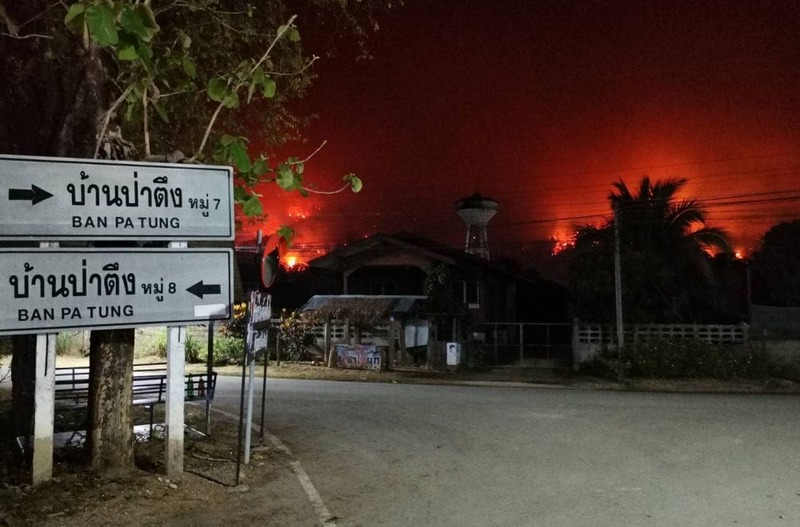 But the generally high levels of air pollution and smoke haze persist despite the best efforts of locals. 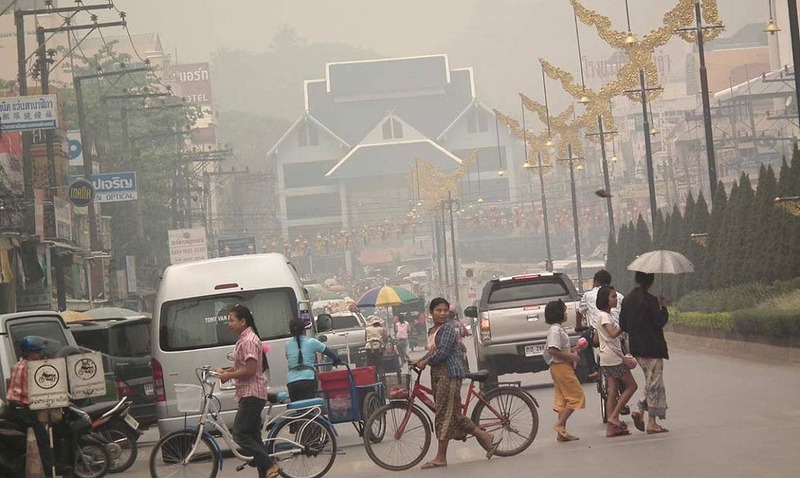 Many areas of Chiang Mai still report high levels of haze – ranking 63-90 micrograms per cubic metre of air, according to the Pollution Control Department today. 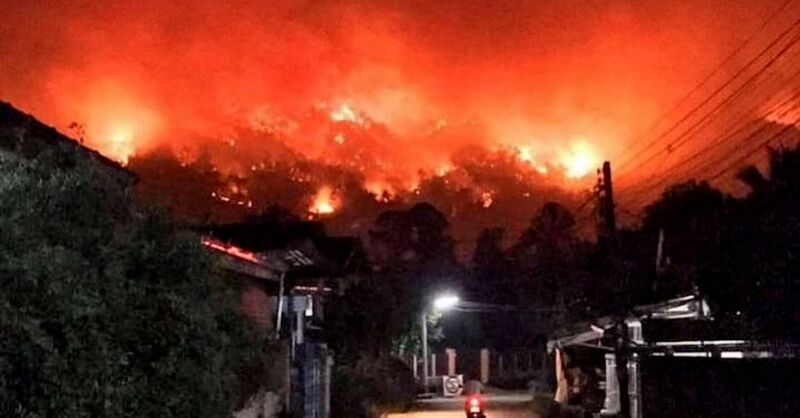 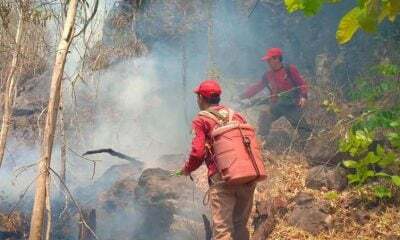 Most of Chiang Mai smoke and haze issues are largely due to multiple forest fires – a total of 31 hot spots reported in the past 24 hours, most of which were in conserved forestland in Chaing Dao and Fang districts. 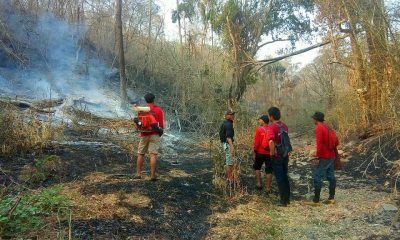 The PCD report that from January 1 until March 26, Chiang Mai had a total of 934 hot spots – 461 of which occurred in conserved forestland. 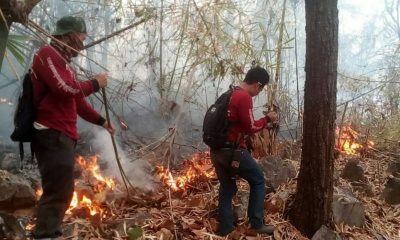 The authority imposed an outdoor burning ban from March 1 through April 30 and has so far arrested nine violators, most of whom were poachers looking for forest products. 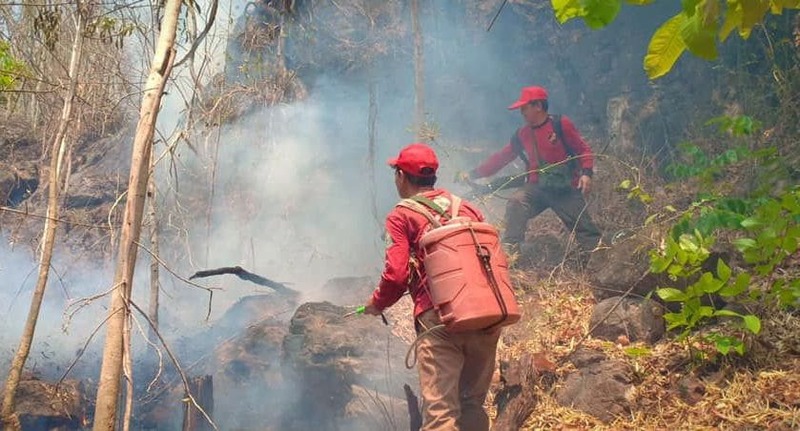 In Phayao’s Mae Chai district, Mae Puem National Park’s participation promoting division head Pathom Meesap revealed that his team had a key mission to fight forest fire that had ravaged areas in Chiang Rai and Phayao in the past month. 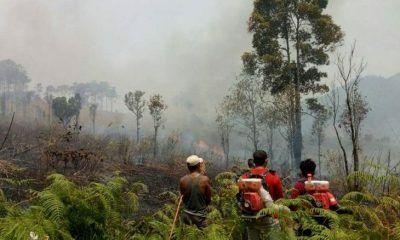 Many forest firefighters have now developed health issues with rashes, skin and eye irritation and were deprived of sleep, having a total of eight hours of sleep in three days, according to forestry officials. 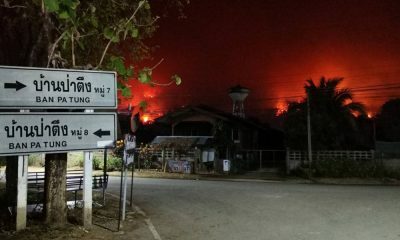 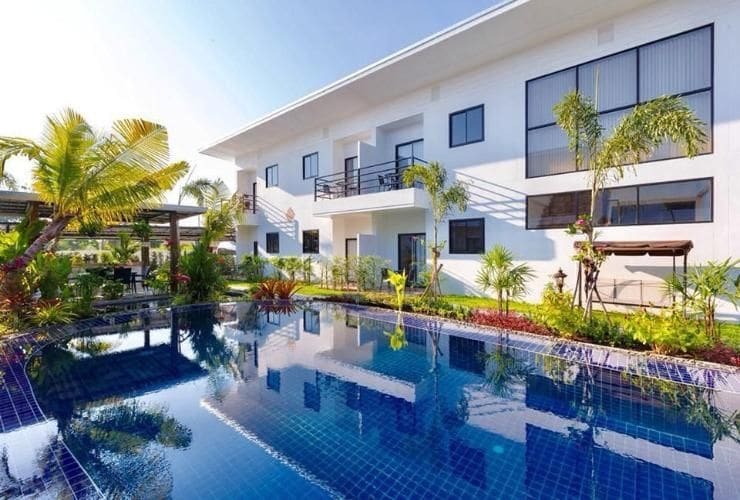 Weather over the next five days in Chiang Mai shows little sign of the natural weather conditions helping to clear the situation.